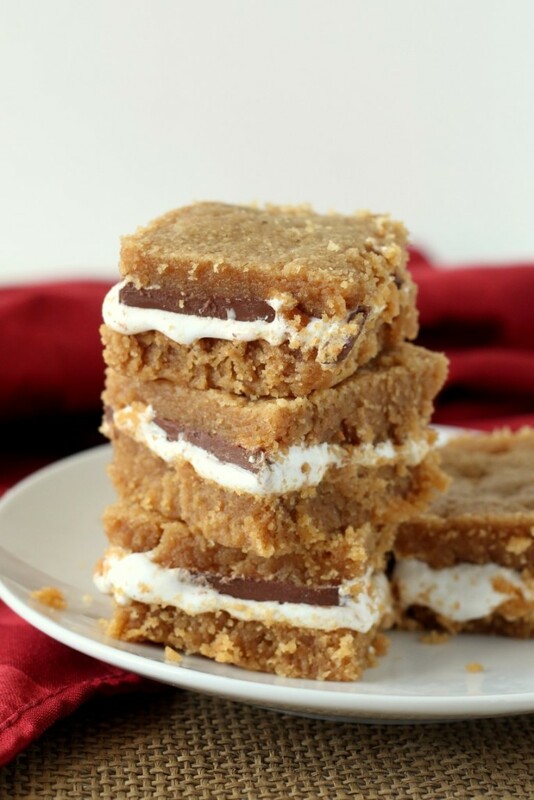 Recently, I discovered that peanut butter is a delicious addition to s’mores. 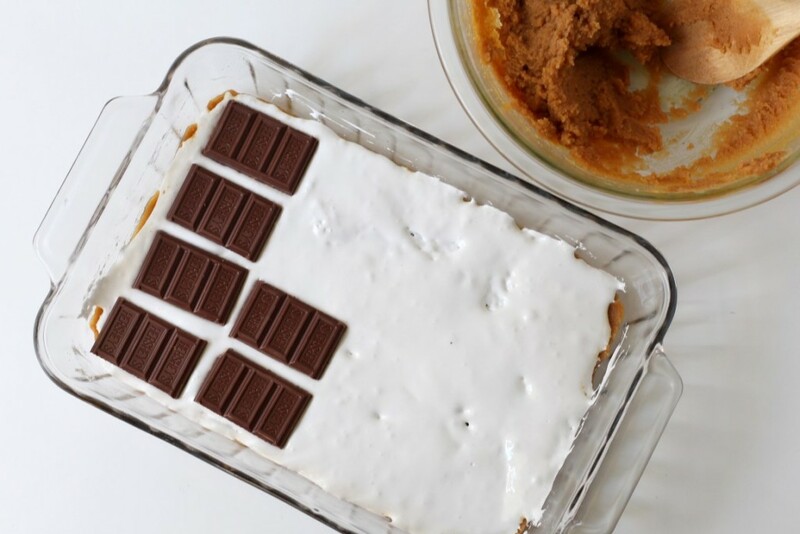 Just spread it on the graham cracker before adding the chocolate and marshmallow. 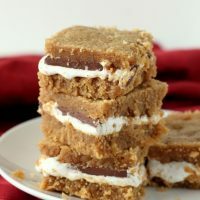 For these bars, I ditched the traditional graham crackers (which I think can get kind of dry sometimes), and sandwiched the marshmallow and chocolate between two gooey layers of peanut butter blondie. It’s a combination any peanut butter and chocolate fan will be in love with. 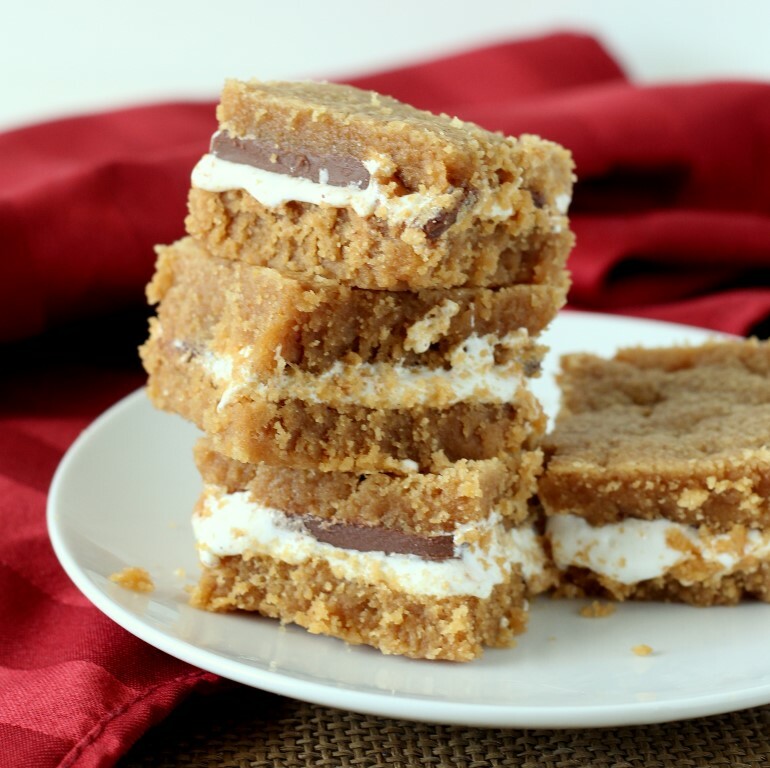 Thankfully they are simple to make and only require five ingredients, peanut butter, eggs, sugar, chocolate and marshmallows. Beat together the peanut butter, eggs and sugar in bowl and spread half the dough in a pan. Top with the other half of the dough and bake for about 20 minutes. The results are a fun treat that is good any day of the year. 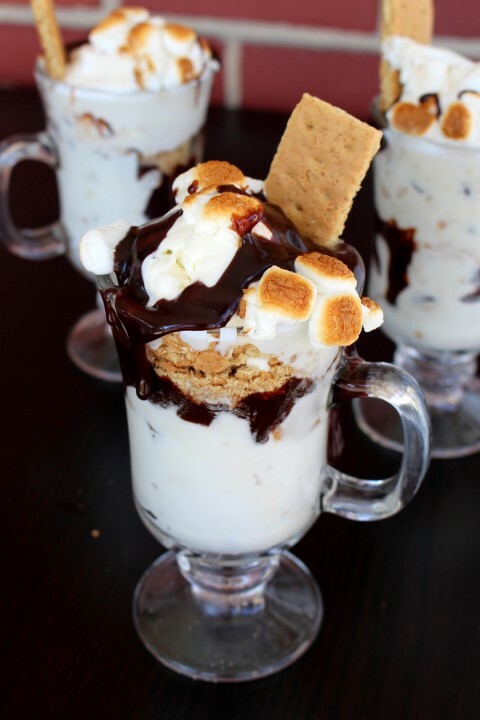 Not just on national s’mores day! These easy 5 ingredient peanut butter s'mores bars have a layer of marshmallow and milk chocolate sandwiched between two layers of peanut butter blondie. 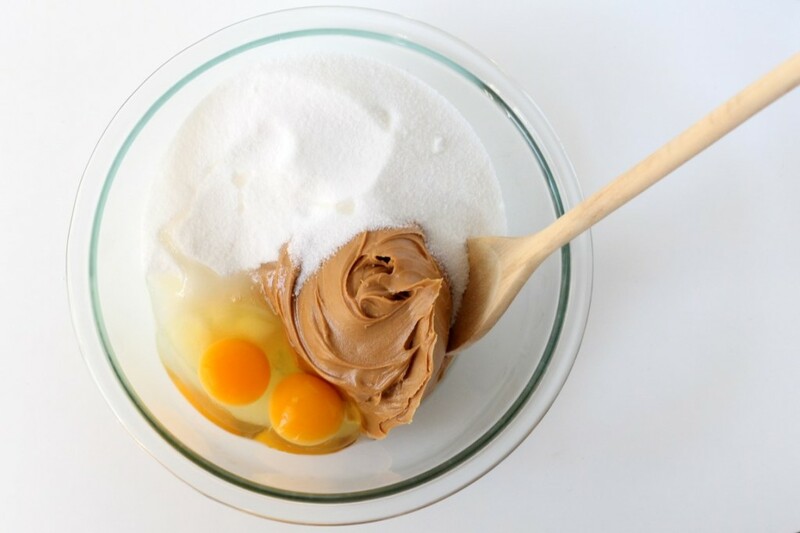 Beat together the peanut butter, eggs, and sugar in a medium mixing bowl. Divide the dough in half and spread one half into a greased 11 x 7 inch baking pan. Spread the Marshmallow creme on top of the peanut butter dough and top with the chocolate bars. 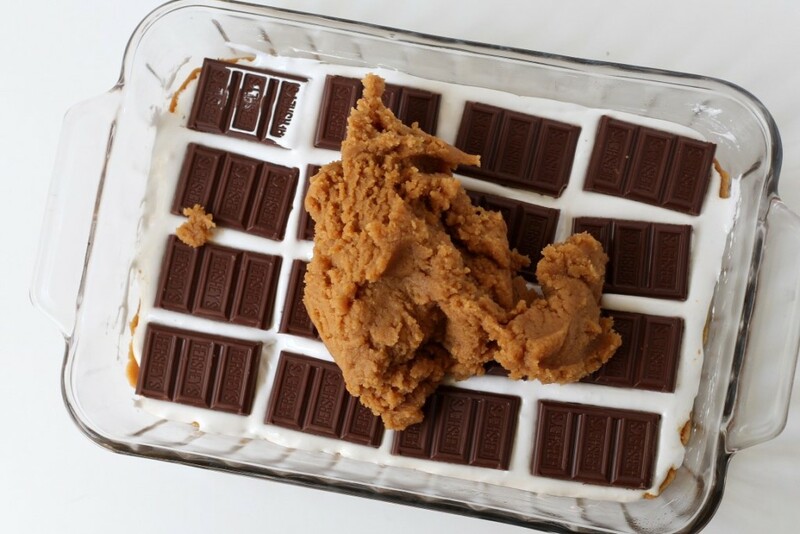 Spread the remaining half of the peanut butter dough on top and bake at 350 for 22-24 minutes or until set and the edges are lightly browned. Remove from the oven and let cool for 30 minutes. Place in the refrigerator for a few hours until chilled. (this is to set the chocolate again, otherwise it will be gooey). Cut into bars and serve. To bake in a 9 x 13 inch baking pan, you will need to make the the recipe 1 and 1/2 times. Your prep photos are stunning! Pinning these beauties 🙂 Can’t go wrong with PB! I’m a sucker for anything with Hershey’s chocolate! 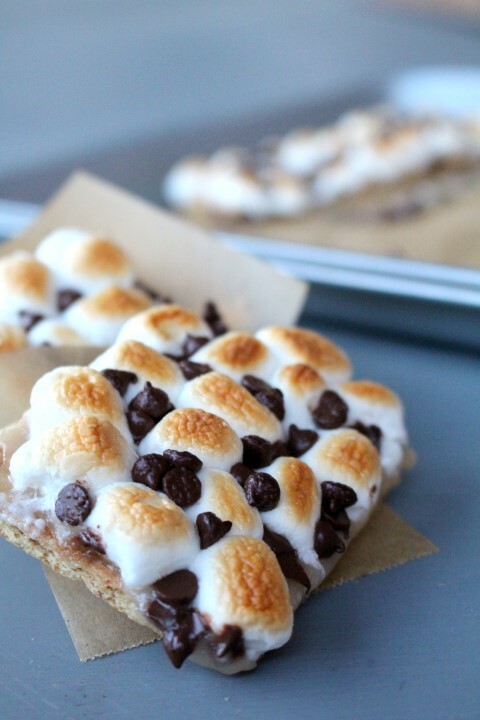 These look irresistible!